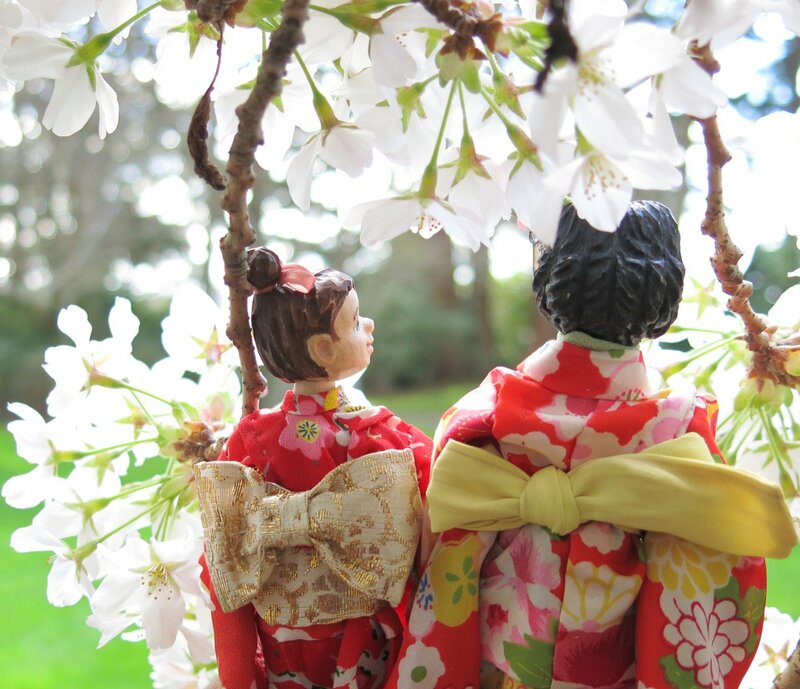 Min and Patience have put on their best Kimono to view the Cherry Blossoms. The clouds of blossoms are sweet and heavenly. Patience hopes for a beautiful spring for our friends in Japan and around the Northern Hemisphere. The girls are infused with spring loveliness. You are welcome – we love the springtime, and are glad to welcome it this way. 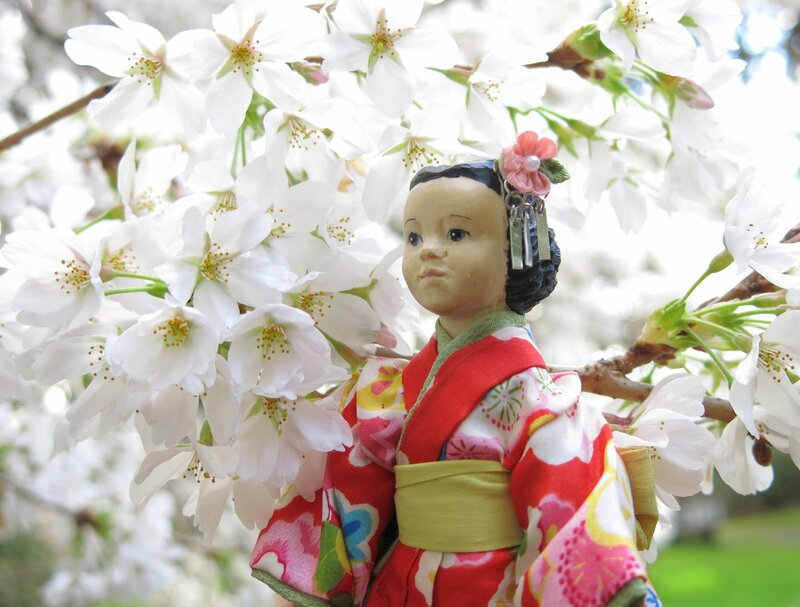 She likes to wear the Kimono, so does Patience, and they both love to view the cherry blossoms! 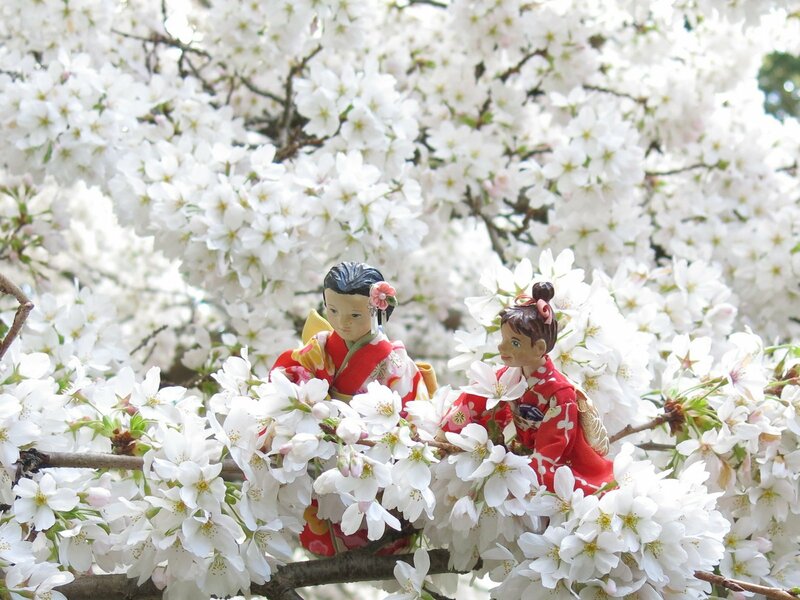 Your haiku matches the airiness of the beautiful blossoms. Thank you for such Springtime glory. We are all so happy to see spring! We think it is a lovely tradition to put on your best clothes and greet the trees in their renewed glory! I think that’s a very lovely thought-greeting the trees in their renewed glory in our best clothes! How exquisite! Thank you for this lovely breath of springtime! Thank you! May Spring come soon to Edmonton! 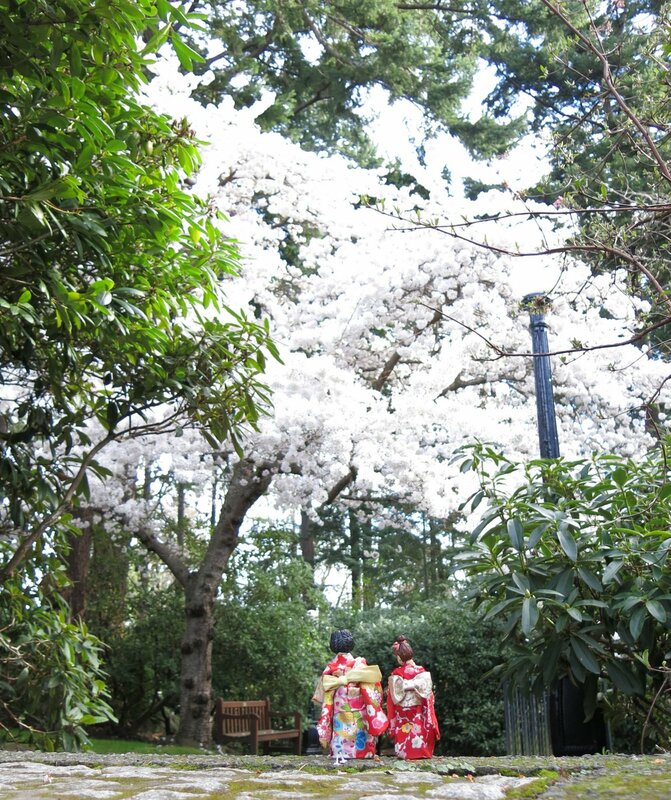 so very lovely…the girls, the kimono the cherry blossoms. And that haiku…perfect I recall that your friend in Japan assisted you with the proper wearing of kimono…They are so beautiful!! My friend in Japan is generous and helpful, Min and Patience are grateful (as am I)! We want to honour the traditions an hope to do so by doing things the right way. This was a beautiful way to start my day! Thank you Min and Patience for sharing your cherry blossoms! You are so welcome! We hope spring is coming your way soon too! 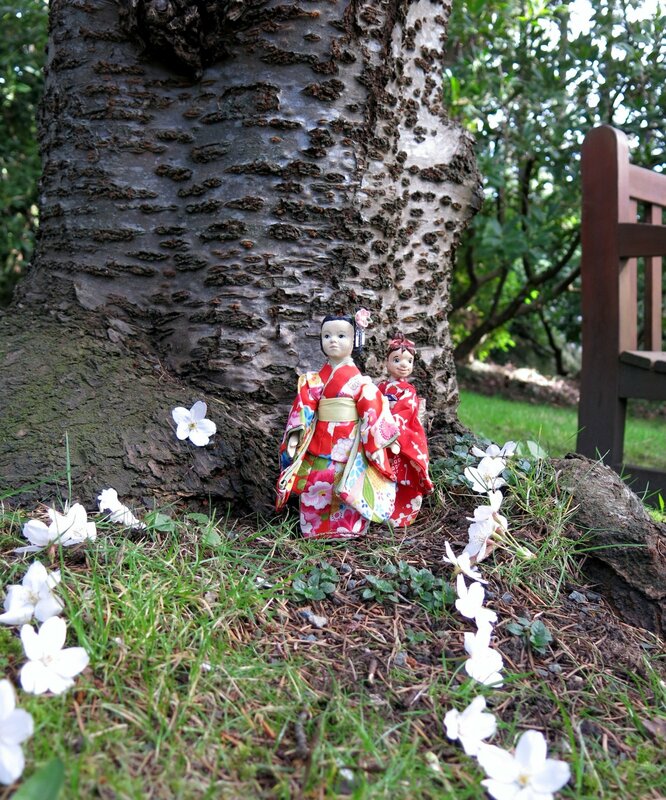 Beautiful kimonos, lovely cherry blossoms, very pleasing haiku! Thank you! I hope the Blossoms are coming out in your town too!